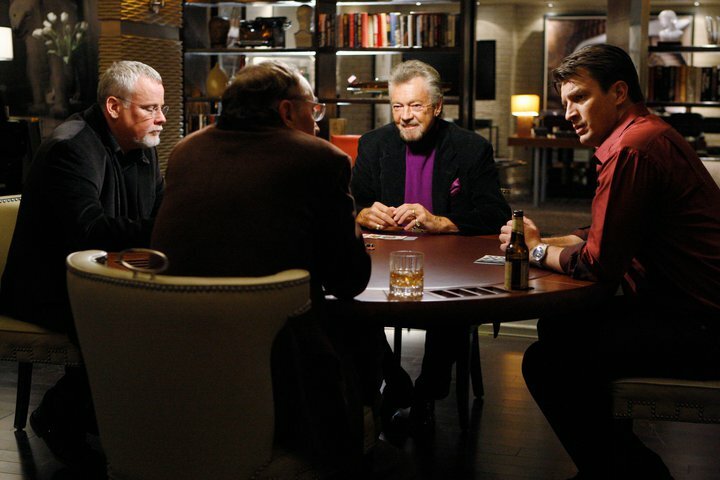 Even the fake mystery writer from the TV show, Castle, gets advice from real mystery writer poker buddies Michael Connelly, James Patterson and Stephen J. Cannell on how to solve his latest case. I am fortunate and grateful to be part of a few such networks, including the Synergos Senior Fellows network which consists of people from around the world who have a lot of experience working on issues related to poverty and inequality. Synergos has systematized an effective way to turn peers into advisers in a process that they call Real-Time Consulting. I have benefited from both sides of that equation (as a consultant and consultee) and I have also experienced the process face-to-face (at the Synergos annual meetings), as well as on a Skype telephone calls (and then, when the audio didn’t function well enough, in an online chat format). Here’s a short video that describes the process. The article continues with some helpful links below the video. In each of these cases, the same key factors made the system work, which I will share here in case you want to try it with your own network of peers. (Please let us know how it goes if you do). The first thing you need is a trusted network of peers whose experience and knowledge your value. This can be a formal network like Synergos, or an informal group of people that you pulled together to advise you on a problem. Trust here does not mean that you necessarily know the people well, but rather that you are confident that their knowledge and experience can inform your problem. Advance preparation is key to the short consulting sessions. It is important that your volunteer consultants know what your big challenge is and how that breaks down into a specific question. They will need some background information about the context of the problem. They also need to know the kind of experience, knowledge, and or skills that you would like your advisers to possess. This helps them figure out whether they are the right person for the job. For example, I volunteered to advise on a leadership and organizational development question, where I have a lot of experience, and eliminated myself from a problem that required experience in border conflicts, where I have none. Here is the Peer Consulting Template and Instructions that Synergos uses. Completed forms are generally 1-2 pages long, not more. PEER CONSULTING: Your expertise is needed! The next peer consulting session is on Tuesday, March 30 (9 am EDT) with Agustina Cavanagh (Cimientos, Argentina). The case is attached and can also be discussed here. • Possess knowledge about differences in the logic of an NGO and public administration. If you can advise on this topic or would like to participate as an observer, please let me know in advance of the session. If you have assembled more than 2 advisers or if your meeting is not face-to-face (on the phone or chat) it is a good idea for someone to take on the role of facilitator — to keep the conversation on track, to make sure that people are hearing and understanding each other, and to help sum up the results at the end of the conversation as well as any follow-up action or commitments. In my example, Synergos staff member Daniel Domagala played this role, but a volunteer may do as well. It is a good idea for this role to be played by someone other than the person receiving the advice, even if they put out the call. They already have enough to do in terms of deep listening, recording answers, responding to questions, etc. These sessions are typically short, and this is part of what makes them effective. Whether they are face-to-face, on the phone, or online the nature of these sessions are live interactions. The live, “real-time” conversations provide benefit to consultants as well as consultees who also benefit from the ideas and experience of their peers, whether they agree or not. It is a dynamic, collective interaction that elicits the wisdom of community. It is a good idea to write up the results of the session and distribute it to your advisers, particularly if there are any follow-up commitments. This creates an opportunity for people to contribute their after-thoughts. Here is an example of a peer consulting session write-up by Bharati Chaturvedi (India) from an online session with Rory Tolentino and myself (U.S.) Wangsheng Li (China) and Daniel Domagala who was facilitating the call from somewhere in South America. Please note that I am posting this document with Bharati’s permission. For many people, particularly those working in close local networks, the preference might be for these conversations to be held in confidence. It is important to lay out those kinds of expectations and ground rules at the outset of the session.